Ah yes, the dreaded belly fat that won't seem to go away no matter what you do. First and foremost it must be made known that you cannot spot reduce (target fat loss in a specific area). Doing a thousand sit-ups will not get rid of belly fat; you must focus on losing overall body fat. Nor can you take a fat-burning supplement and expect your belly to shrink while you sit and do nothing. So then, how do you lose belly fat? This article will discuss nutrition, exercise, and supplement strategies to lose belly fat. Before we dive into how to get rid of belly fat, let's go over what body fat is and how it is gained and loss. Calories are energy stored in the foods we eat. When more calories are consumed than the body needs, the excess calories are stored as body fat for use when food is not readily available. The body?s primary source of stored energy is triglycerides (a glycerol molecule bonded to three fatty acids) stored in adipocytes, more commonly known as fat cells. Body fat accumulates when excess calories are consumed over long periods of time. So that belly fat you were shaking earlier is energy your body stored for survival; the problem is storing body fat is a very efficient process and you are storing an excess amount. In order to lose body fat, the stored triglycerides must first be released from adipocytes through the process of lipolysis. Lipolysis involves breaking the triglyceride bonds resulting in a glycerol molecule and three free fatty acid chains (FFA). The FFA must then be transported through the blood stream to be oxidized by the mitochondria and peroxisomes in cells of active tissues (i.e. skeletal muscle). Fat storage and oxidation are happening continuously; body fat is lost when fat oxidation exceeds fat storage over a period of time. Knowing this we can implement specific strategies to decrease fat storage and increase fat oxidation. To lose fat efficiently one must be in a caloric deficit, burning more calories than consumed. Remember, fat oxidation must be greater than fat storage; if you are eating more calories than you burn then you are (most likely) storing fat. Step one in losing belly fat is setting and tracking your caloric intake to ensure you are in a deficit. In addition to being in a caloric deficit, hitting individual macronutrient quantities, specifically protein, will accelerate fat loss. A quick way to estimate your maintenance caloric intake (the calorie intake where you would neither gain or lose weight) is to take your bodyweight in pounds and multiple it by 15. In order to lose fat efficiently you need to consume less than your maintenance caloric intake. Each pound of fat contains about 3,500 calories. So by subtracting 500 calories from your daily maintenance caloric intake you should be able to lose one pound of fat per week (3,500 divided by 7 days = 500 calories/day). Disclaimer: The ?3500 calories per pound of fat equation? has received scrutiny regarding its accuracy. Now that we have set your caloric intake, we need to set your protein intake. Current research on weight training individuals supports a protein intake of 0.8-1.2g/lb. This is where the golden rule of 1g/lb comes from and is the quantity of protein you want to consume. Lastly, we need to set your fat and carbohydrate quantities. When calories and protein intake are controlled the exact ratio of fat:carbohydrates is not crucial, though one should consume a balanced intake of both macronutrients. Fats are needed for hormone production and mood regulation while carbohydrates fuel performance in the gym. My general recommendation is to consume between 0.25-0.5g/lb of fats and then have the rest of your calories come from carbohydrates. If you prefer fatty foods you can set your take intake at the higher end of the recommendation; if you prefer carbohydrates over fats you can set your fat intake at the lower end of the recommendation. Set calories to 15 * pounds bodyweight ? 500. Set protein to 1g/lb bodyweight. Set fat to 0.25-0.5g/lb bodyweight. Set the rest of your calories as carbohydrates. Note: Protein and Carbohydrates each contain 4 calories per gram and Fat contains 9 calories per gram. The above is your starting caloric intake. If you are not losing body fat as desired then you can decrease your fat and/or carbohydrate intake. Being in a caloric deficit will ensure lipolysis is occurring at an elevated rate. Now we need to increase FFA oxidation and the best way to do that is through exercise. At rest, lipolysis is greater than FFA oxidation; meaning FFA oxidation is the rate-limiting step of fat loss. In order to maximize fat loss one must increase FFA oxidation and the best way to do this is through exercise. Exercise not only increases FFA oxidation, it also increases the transportation of FAA to skeletal muscle to be oxidized. Now we need to establish what type of exercise you should be doing, weight training or endurance training (cardio). The basis of any exercise program should be weight training. Unlike endurance training, which primarily increases one?s metabolic rate during the exercise session with only a slight increase post-exercise, weight training increases one?s metabolic rate for hours post-exercise  and has the potential to increase ones resting metabolic rate by increasing muscle mass. Even though fat oxidation is higher during endurance training than during weight training, the post-exercise increase in metabolic rate and RMR increase make weight training the superior choice. This is not to say you shouldn?t do any endurance training, but it should not be the focus of your program. Weight training causes more muscle damage and requires more recovery time than endurance training. Due to these increased demands, most people cannot weight train everyday and therefore I recommend doing endurance training on your non-weight training days. Now there is a form of cardio that offers similar benefits as weight training called High Intensity Interval Training (HIIT). HIIT consists of periods of all out effort, sometimes called sprints, followed by low-intensity recovery periods. 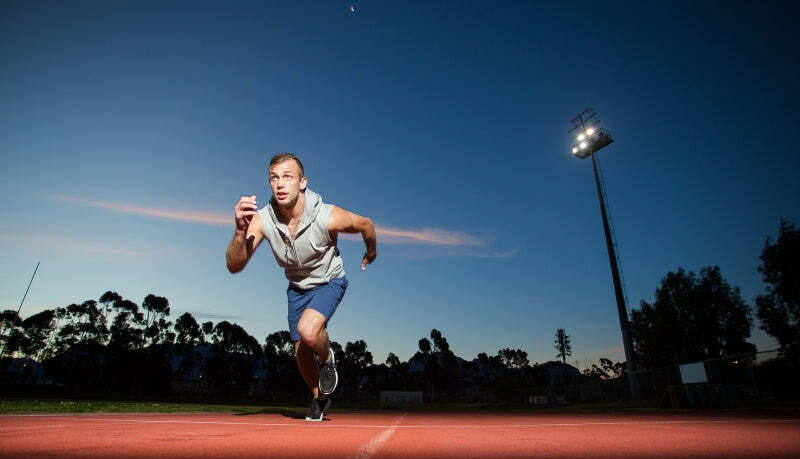 One all out sprint plus one low-intensity recovery period equals an interval. HIIT is more demanding than steady state cardio, so I recommend only performing 1-3 sessions per week depending on your recovery rates. If you are performing multiple HIIT sessions each week and find your weight training performance is suffering you should replace some of the HIIT sessions with steady state cardio. ***Additional low-intensity steady state cardio can be performed after the intervals to increase caloric expenditure. Being in a caloric deficit will ensure lipolysis is occurring at an elevated rate and exercise will increase the transportation and oxidation of FAA. We have now increased all three steps (Lipolysis ? Transportation ? Oxidation) of fat loss. If you have fully implemented the above program and still feel like you need to accelerate fat loss you can add in supplements. Once you have your caloric intake and exercise regimen in order THEN you can begin thinking about supplements. There are not many supplements that I feel truly increase fat loss. Therefore, I am going to focus on the two supplements which I feel can make an actual impact and accelerate belly fat loss. Before we discuss those supplements and how to use them we need to dive a little deeper into fat loss physiology. Hormones, enzymes, and receptors regulate body fat storage and oxidation. The catecholamines Epinephrine (E) and Norepinephrine (NE) regulate lipolysis by acting on the adrenergic receptors, alpha 1 and 2 and beta 1, 2, and 3. Activation of the alpha1 and beta-receptors is lipolytic (stimulates fat breakdown) while activation of the alpha2 receptor is anti-lipolytic (blunts fat breakdown). Stubborn fat areas, like the belly, may have a high density of alpha2 receptors, making it harder for lipolysis to occur in that area. These stubborn fat areas may also have poor blood flow resulting in reduced transportation of FAA away from the area to be oxidized. So there are two ways to can increase lipolysis and fat oxidation, increase E/NE levels and decrease alpha2 activation. There are two supplements that can accomplish this, caffeine and yohimbine. Caffeine, a plant alkaloid belonging to the drug class methylxanthines, is found in natural sources such as coffee beans, tea leaves, cocoa beans, and other plants. Caffeine has been shown to increase energy, delay fatigue, and improve cognitive performance. Caffeine is a central nervous system (CNS) stimulant and acts as an adenosine receptor antagonist. Adenosine decreases the release of NE. Blocking the adenosine receptor increases NE?s ability to activate the adrenergic receptors and stimulate lipolysis. Caffeine also inhibits phosphodiesterase (PDE). PDE blunts lipolysis; therefore inhibiting PDE allows lipolysis to proceed at an accelerated rate. Caffeine will increase energy and performance [6, 7] while also increasing NE activity and lipolysis. It's no wonder caffeine is the world?s most widely used stimulate. The research substantiated dosage for caffeine ranges from 3-6mg/kg. (Note 1kg = 2.2 lbs) For a 200 lb (90kg) individual this would equate to 270-540mg. As a general recommendation, a dosage of 100-300mg caffeine is sufficient. As with any stimulant, you should start at a low dosage and gradually increase the dosage based on your tolerance. Yohimbine, an alkaloid derived form the bark of the Pausinystalia yohimbe tree, is an alpha2 receptor antagonist. By blocking the alpha2 receptor with Yohimbine, the negative feedback caused by NE binding to the alpha1 receptors is reduced and fatty acid liberation from fat cells is increased. Yohimbine has been shown to increase fat loss by increasing the amount of fat mobilization and oxidation  and blood flow to adipose tissue. So Yohimbine addresses two of the stubborn fat issues we are trying to correct: alpha2 receptor action and blood flow (transportation of FFA to active tissues). The research substantiated daily dosage for Yohimbine is up to 0.2mg/kg bodyweight . As with any stimulant, you should start at a low dosage and gradually increase the dosage based on your tolerance. 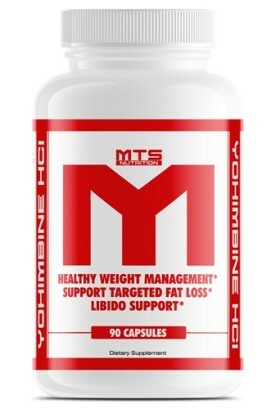 Most commercially available Yohimbine comes in 2.5mg capsules. Start at one capsules per day and gradually increase the dosage until your desired dosage is reached. Note: Yohimbine can increase anxiety in individuals predisposed to anxiety and therefore these individuals should pay extra caution. Set fat intake at 0.5g/lb bodyweight. Weight train 3-4X per week along with two cardio session on non-weight training days. Once steps 1-5 have been fully implemented, you can add in caffeine and yohimbine to increase fat loss in stubborn areas like the belly. You now have a complete program to get rid of belly fat. Its time to stop shaking your belly and work towards losing it! 1. Murphy, C.H., A.J. Hector, and S.M. Phillips, Considerations for protein intake in managing weight loss in athletes. Eur J Sport Sci, 2015. 15(1): p. 21-8. 2. Gillette, C.A., R.C. Bullough, and C.L. Melby, Postexercise energy expenditure in response to acute aerobic or resistive exercise. Int J Sport Nutr, 1994. 4(4): p. 347-60. 3. Melby, C., et al., Effect of acute resistance exercise on postexercise energy expenditure and resting metabolic rate. J Appl Physiol (1985), 1993. 75(4): p. 1847-53. 4. Lemmer, J.T., et al., Effect of strength training on resting metabolic rate and physical activity: age and gender comparisons. Med Sci Sports Exerc, 2001. 33(4): p. 532-41. 5. LaForgia, J., R.T. Withers, and C.J. Gore, Effects of exercise intensity and duration on the excess post-exercise oxygen consumption. J Sports Sci, 2006. 24(12): p. 1247-64. 6. Ping, W.C., C.C. Keong, and A. Bandyopadhyay, Effects of acute supplementation of caffeine on cardiorespiratory responses during endurance running in a hot & humid climate. Indian J Med Res, 2010. 132: p. 36-41. 7. Goldstein, E., et al., Caffeine enhances upper body strength in resistance-trained women. J Int Soc Sports Nutr, 2010. 7: p. 18. 8. Bracco, D., et al., Effects of caffeine on energy metabolism, heart rate, and methylxanthine metabolism in lean and obese women. Am J Physiol, 1995. 269(4 Pt 1): p. E671-8. 9. Goldstein, E.R., et al., International society of sports nutrition position stand: caffeine and performance. J Int Soc Sports Nutr, 2010. 7(1): p. 5. 10. Kucio, C., K. Jonderko, and D. Piskorska, Does yohimbine act as a slimming drug? Isr J Med Sci, 1991. 27(10): p. 550-6. 11. Berlan, M., et al., Plasma catecholamine levels and lipid mobilization induced by yohimbine in obese and non-obese women. Int J Obes, 1991. 15(5): p. 305-15. 12. Galitzky, J., et al., Role of vascular alpha-2 adrenoceptors in regulating lipid mobilization from human adipose tissue. J Clin Invest, 1993. 91(5): p. 1997-2003.